Cool & Cool Baby Shampoo - 250 ml | Multicolour | Gently cleanses the delicate hair and sensitive scalp. 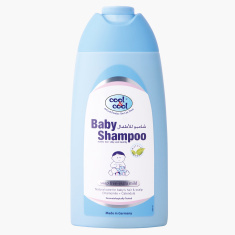 Caring for your little one's hair and scalp is easy as you get this gentle shampoo for regular use. The tear-free formula with natural ingredients protects the skin ensuring healthy hair and scalp. Feature 2 : Made of natural ingredients leads to skin protection and healthy hair and scalp. Feature 1 : Gently cleanses the delicate hair and sensitive scalp.